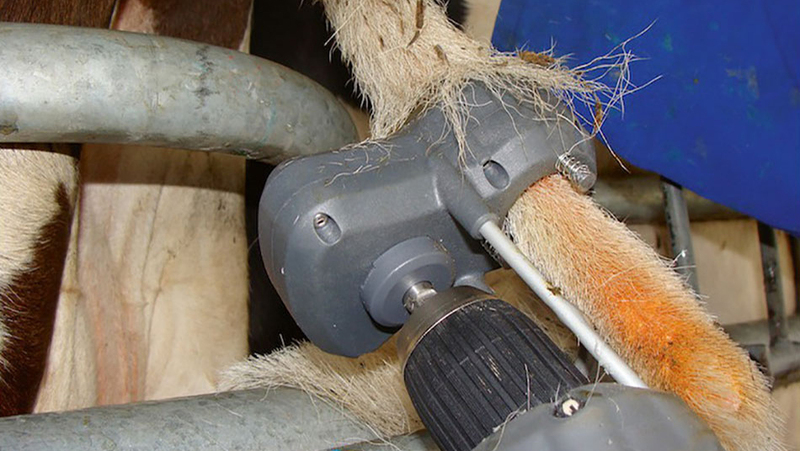 You can achieve a safe and comfortable working environment for people, with minimal impact on your time or milking routine, by trimming tails. A regulation restricting any shortening or removal of tails came into effect from 1 October 2018. Find out more here. Shears and scissors are cheap and simple to use on small numbers. Electric trimmers make trimming large numbers quick and easy. Switch trimming is usually required 2- 4 times per year. Dirty tails are more common during wet times of year, so it makes sense to trim tails before winter. Many farmers trim cow’s tails after they calve or as they leave the colostrum herd, providing a useful indicator of what cow is meant to be in what mob in case they get mixed up. A small percentage of cows have persistently dirty tails all season and will require regular trimming. Some farmers choose a dedicated day where the person on cups off or an extra team member trims all switches over one or multiple milkings. Other farmers trim tails as necessary throughout the year. Switches can be trimmed using hand shears, scissors, or electric trimmers. Tools must be in good working order with well oiled, sharp blades. 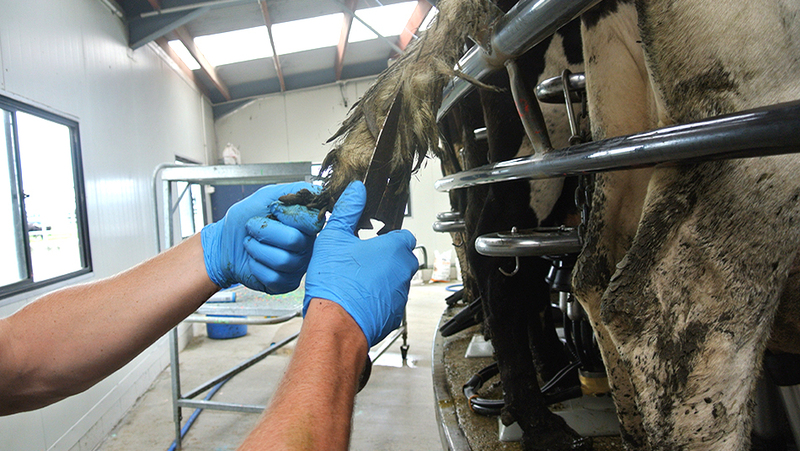 Precautions to minimise spread of zoonoses should be taken even if tails are trimmed, including vaccinating the herd for leptospirosis, regular hand washing, keeping wounds covered, and using PPE. Good stockmanship (patience and gentle handling) and management (switch trimming) will help resolve issues milkers have around their own comfort at milking. Cows that are comfortable and relaxed during milking flick their tails and stamp their feet less, and are less likely to poo during milking. For ideas to improve cow flow and comfort during milking click here.